An oasis in downtown Miami Beach by Cheryl Rowley. 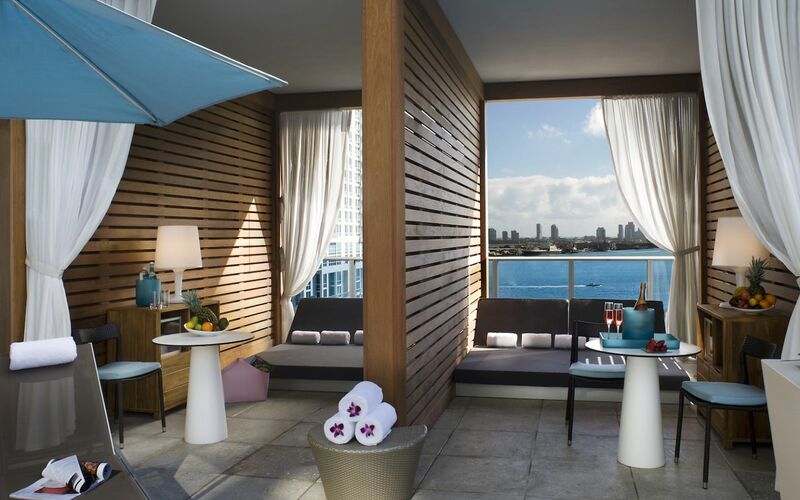 For many Miami revelers, spending the night in South Beach is mandatory. 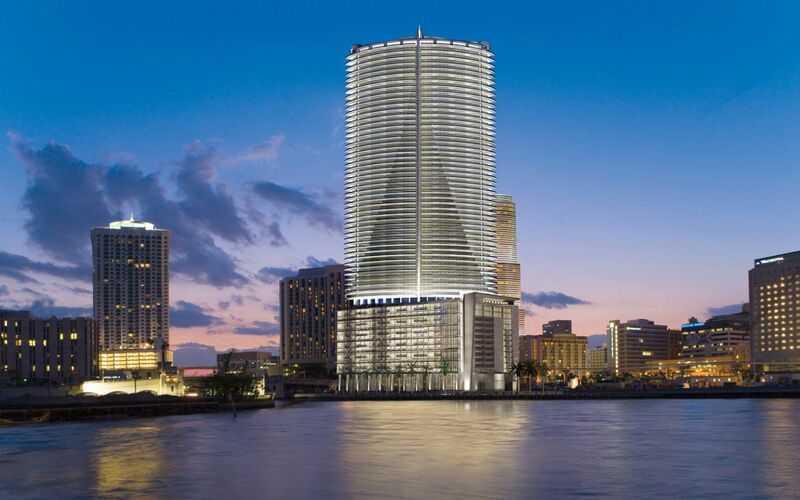 Others, who are open to other parts of the city, like downtown, will be treated to oases such as the Epic Miami. 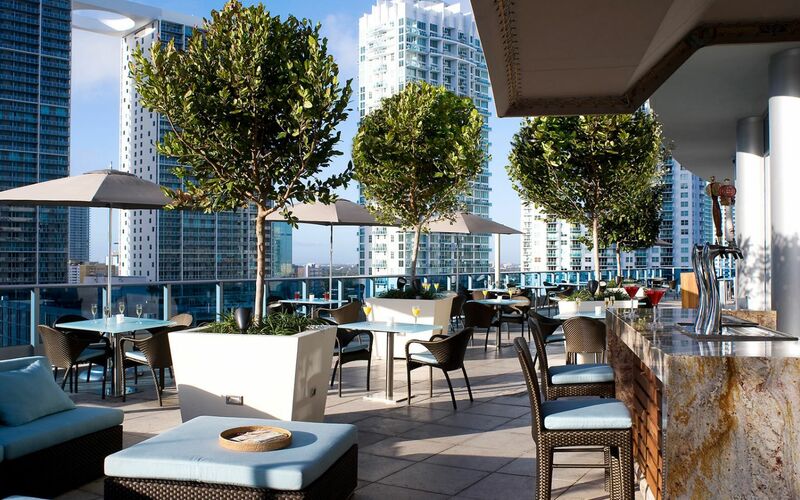 Part of the Kimpton Hotels & Restaurants portfolio, the Epic is a set in a curvy glass high-rise building. 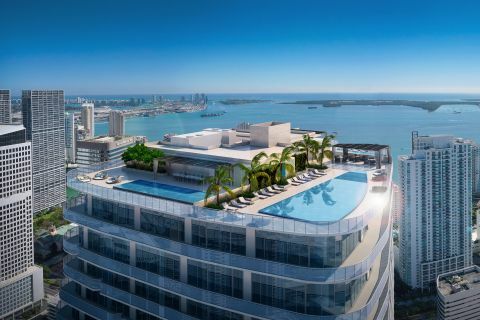 The sophisticated façade, coupled with its waterfront setting—private dockside arrivals are part of the aquatic allure—hint at the luxury that awaits inside. 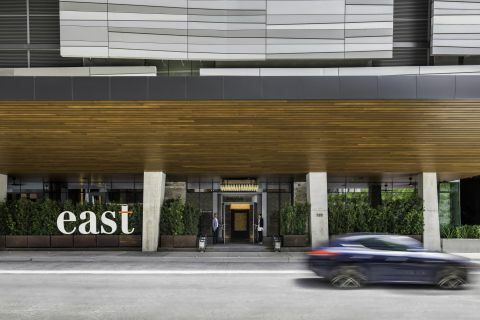 Cheryl Rowley was tasked with the interiors, and the 411 guestrooms overlooking Biscayne Bay are airy, tricked out with earth tones and materials like stone, glass, and warm wood that complement the water outside. 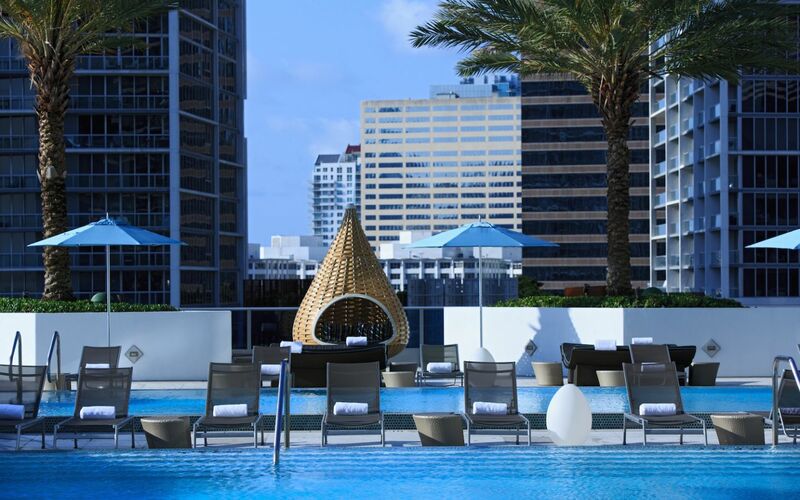 The rooftop provides the relaxation that is synonymous with Miami in the forms of cabanas for all-day lazing and a duet of pools. 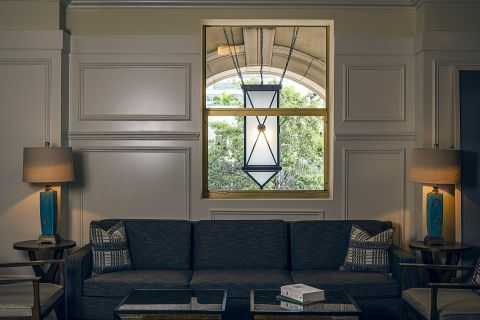 However, a 12,000-square-foot outpost of Exhale Spa also comes to the rescue of the stressed and weary.